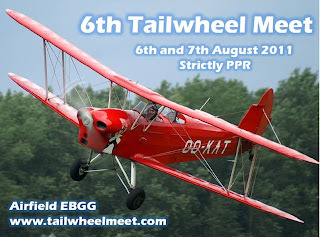 Event : Tailwheel Meet 6-7 August 2011 at EBGG (Vliegveld Overboelare-Geraardsbergen). 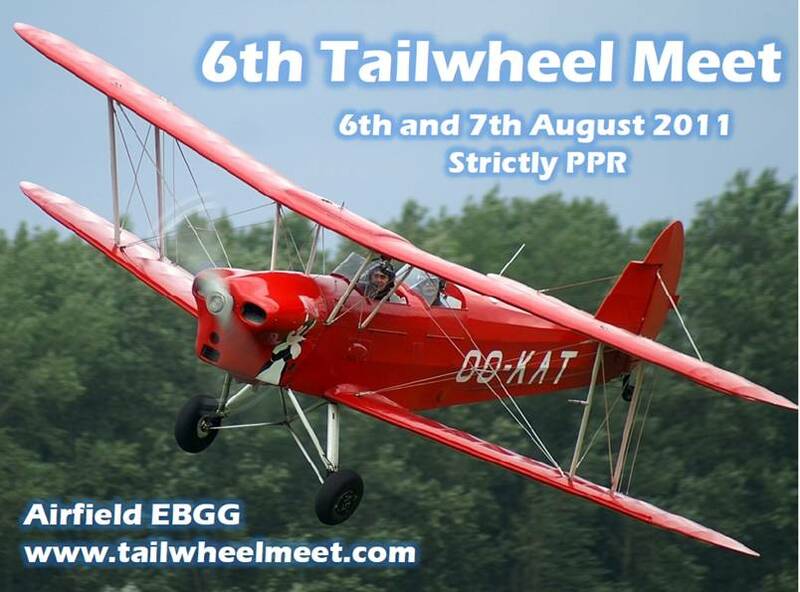 Tailwheel Meet 6-7 August 2011 at EBGG (Vliegveld Overboelare-Geraardsbergen. video: "Red Tails (2012) HD Movie Trailer - Lucasfilm Official Trailer"
First Public Promotional Trailer for the feature film RED TAILS. By the way, did you know you can rent movies from YouTube? Check it out now: youtube.com/movies. Le MESSERSCHMITT ME.323 GIGANT. DISPONIBLE ! Jean Louis ROBA, avec la participation de Michel LEDET. is participating in the International Air Mobility Rodeo 2011 "Fit to Fight"
Orbitory & in Memoriam Jean Pirson in the catalog under the subtitle "documents". Welcome to the Royal Air Force Museum London's August Newsletter! Hello and welcome to the news of what will be happening at our London Museum in August and early September. If you would like to register for Cosford's newsletter please click on the link to subscribe. If you do not wish to receive any future newsletters about our London site, please let us know by clicking on the link at the bottom of this page to unsubscribe. On Thursday 21st of July, our London site was proud to welcome the Commander of the Royal Air Force of Oman, Air Vice Marshal Yah Ya Al Juma. Whilst at the museum, The Air Vice Marshall conducted the official unveiling ceremony of the Hawker Hunter FR10 (Oman) which was donated to the Museum by the Sultan of Oman. Visitors will now greeted by our newest Gate Guardian on arrival at the Museum. The Omani Hunter is located, dynamically showcased 10 feet off the ground, in its new position directly opposite the Museum's Main Gates. To read the full history of this aircraft please click on the link below. July has provided the Museum with a plethora of online recommendations from the public. Currently we are a top 20 London tourist attraction on Tripadvisor.com, as recommended by visitors of this forum; we have been awarded a 'Netmums Favourite 2011' award for attractions in North London as voted for by members of the Netmums network who have visited us during the last 12 months; and we have been recommended by TimeOut London as one of the 101 things that people should do in London this summer as voted for by bloggers to the magazine. Should you visit us during the next 12 months we would welcome you posting your review of the Museum on any of the above forums – particularly Tripadvisor.com, as it would be great if we could become a recommended Top 10 London Attraction – or if you prefer in the Museum's own online Visitor's Book, which can be accessed through the link below. We hate using the word 'Christmas' in August, but it happens upon us quicker than we anticipate every year. So with the Festive Season in mind, particularly for our overseas e-news subscribers, we thought that now would be an opportune time to flag up a range of new products that we're confident will prove to be a hit with RAF aficionados worldwide – the RAF's first ever officially licensed range of die-cast model aircraft, the quality and detail of which are "second to none". At this moment in time the range consists of 3 models: a Hawk T.1A limited edition as flown by pilots of 208 Squadron at RAF Valley; a Hawk T.1A limited edition as flown by pilots of 151 Squadron; and a Hawk T.1A as flown by the Red Arrows. Each of these 1/48 die-cast collectors models can be displayed with the canopy open or shut, wheel up or down and comes complete with a display stand and model crew member – all for a very reasonable £69.99. As with all products sold through the Museum shops, profits from their sale goes back to the maintenance of the Royal Air Force Museum's collections. Further details about these models can be found on our online shop or in our new Summer Catalogue, released today, which is available on request by following the link below. In last month's newsletter, we touched upon the family events that will be taking place at the Museum this August. Full details about these events can be accessed by going through to the 'August Activities' page on our website. But to quickly recap, August kicks off with a week of fantastical tales about flying and flight, specially devised for children 3 to 9 (1st to 7th); before we have a fortnight of thrice daily wild bird displays as part of Falconry Fortnight (8th to 21st); after which we close the month with a week of quiz trails & puzzles that celebrate 'Women of the Air Force' (22nd to 28th). Our 'Fantasy Flight' and' Falconry Fortnight' sessions will run daily at 11.30am, 1.30pm and 3.30pm – whilst our 'Women of the Air Force Week' Trail will be available, free of charge, at the Museum's Main Entrance. All trails successfully completed will be entered into a daily Prize Draw to win £25.00 worth of goodies from the Museum shop…better yet participation in our each of our 'August Activities' is free of charge to all. If you are planning on visiting us during September, the Museum has two events taking place which might be of interest. The first is the Museum's Battle of Britain Weekend, which will be taking place on 10th & 11th of September. At this annual pageant commemorating Veterans of the Battle of Britain the Museum will explain the importance of this aerial campaign to our visitors through a series of living tableaux, tours, and concerts that will be free for members of the public to attend. In addition to the above activities the Museum will also be hosting a Spitfire flypast, courtesy of the Battle of Britain Memorial Flight on the Sunday, subject to weather conditions (timing still to be confirmed) and will be opening up our 1940 Home Front Room to offer members of the public the opportunity to experience a Blitz safety practice – with an ARP man so strict that any disobedience will be met with immediate punishment! Members of the public will also have the opportunity to make and paint their own 1:72 model Spitfire, courtesy of Airfix, and to enjoy showing the1969 classic 'Battle of Britain' on the big screen in the Museum's Lecture Theatre. The second September event which may be of interest is the opening of a new temporary exhibition 'Brothers in Arms: Poles and Czecholosovaks in the Battle of Britain & Beyond' on 16th in the Museum's newly refurbished Temporary Exhibition Gallery. This area can be found to the left-hand side of the top of our Conference Reception stairs, directly opposite the entrance of the Museum's newly re-furbished Art Gallery. In this multimedia exhibition, curated in association with the Polish Institute of National Remembrance, the Museum will explore through drawings, archive film footage and sculpture the bravery of men such as Czech fighter pilot Josef Frantisek and the men of 303 Squadron; and the fate of those Polish & Czechoslovakian RAF pilots who returned back to their homelands after World War 2 only to be deemed criminals and outcasts by Communist regimes desperate to 'clip the wings' of any 'dangerous elements' who could become powerful totems around which potential resistance could form. online exhibition and podcast about Poles in the Battle of Britain where the friends and family of Polish, Czech and Slovak veterans are welcome to post their stories to be read by our online audience. To access this exhibition please click on the link below. at Bierset on May 12th 2007. * Henri Farman H.F. 3 (Type 1911) at Brasschaat-Polygone aerodrome. * Renard R.S.V. 22/180 V-31 of the Ecole d'Aéronautique in flight. * Dassault Mirage 5BR BR-02 in flight over the Ardennes in the early seventies. * Fokker F.VIIa/3m OO-AID registered to Sabena on September 20th, 1929 in flight. * Former Sabena Douglas C-47A-50-DL OO-AUO operated by to Air Congo. * All white Virgin Express Boeing 737-4Y0 OO-VBR landing at Zaventem on August 17th, 2005. Belgian-wings.be update : Dassault Mirage 5BR BR-02 in flight over the Ardennes in the early seventies. 26/07 - Boeing 747 freighter on fire on take off from Liège-Bierset airport. Het Koninklijk Legermuseum biedt u een wereldreis aan! Le Musée royal de l'Armée vous offre un tour du monde ! Mustang crashed during Duxford aishow.